Dr. Hoy has been performing his foot surgeries at Swedish Medical Center Ballard campus since September 1, 2015. This is for higher efficiency, quality and patient satisfaction since the hospital restructured as described below. Swedish Seattle (First Hill and Cherry Hill) has been designated as the tertiary and quaternary referral center for the Providence system, and we are seeing unprecedented increases in surgical volume due to organic growth, in-system referrals, and outreach to system partners locally and regionally. As a result, Swedish Seattle is full. Dr. Horton and I have been instructed by Senior Leadership to accommodate this current (and projected future) growth by redistributing surgical cases across the 5 hospital Swedish system while new facilities are being designed and built. In general, more complex surgical cases are being aggregated at Swedish Seattle (since they require tertiary services for their non-surgical care, and such cases do better when concentrated in one place), and less complex cases are being moved to our community centers of excellence. We are not alone in this: Dartmouth, Johns Hopkins and the University of Michigan have recently announced a list of procedures that will no longer be performed in their community hospitals. An incomplete list of services that have been moved from or within Swedish Seattle include cardiac surgery (FH to CH, planning on returning to FH), vascular surgery (CH to FH), neurosurgery (CH to Issaquah), general surgery (FH to Issaquah), orthopedic surgery (FH to Issaquah), Pain services (FH to Issaquah and shortly, Ballard), Behavioral Health (CH to Ballard), pediatric surgery (FH to Issaquah), OB/Gyn (FH to Issaquah). Of course, some more complex services are being moved to Swedish Seattle, or not being continued in our community centers of excellence (e.g. 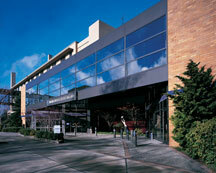 some general surgery at Ballard, some vascular surgery at Issaquah). This list may seem long, but it will get longer as we continue to place surgical business in the most appropriate location. Dr. Horton and I identified most Podiatry cases as being suitable for care in our community centers of excellence, which are recognized for their efficiency, quality, and high patient satisfaction scores (mostly higher than FH/CH).